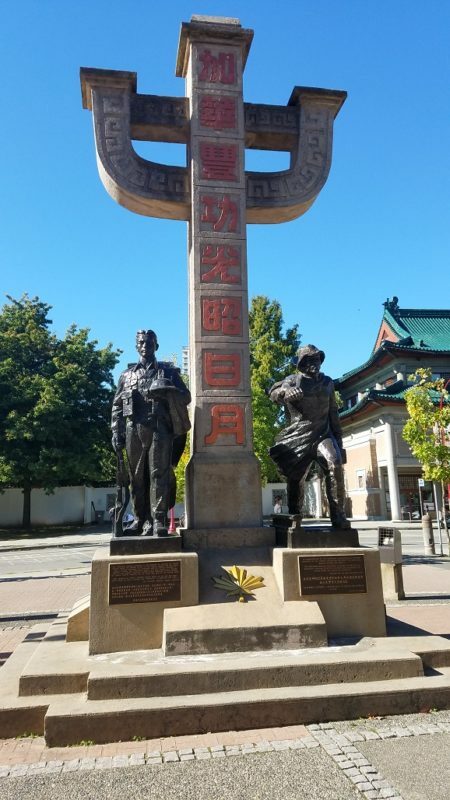 Oct 2-6: With over 40% of Vancouverites being of Asian descent, it comes as no surprise that Chinatown feels authentic and is a vibrant slice of the city. 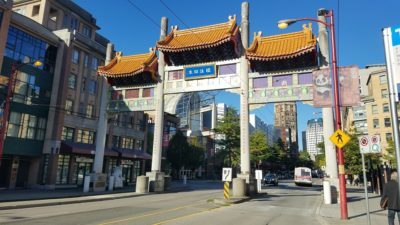 So much so, that you should check out the real Vancouver Chinatown. 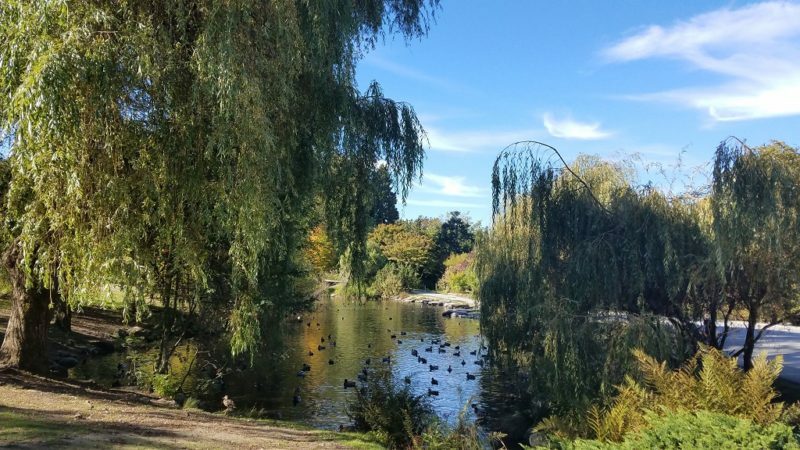 There is a hustle and bustle that is evident from walking through the streets of this hood, which happens to be walking distance from downtown Vancouver. Over half the occupants speak Chinese as their primary language. It is fun to wander into shops and hear people working and chatting with each other, wondering what they may be discussing. And the shops are not limited to places that tourists would go to. 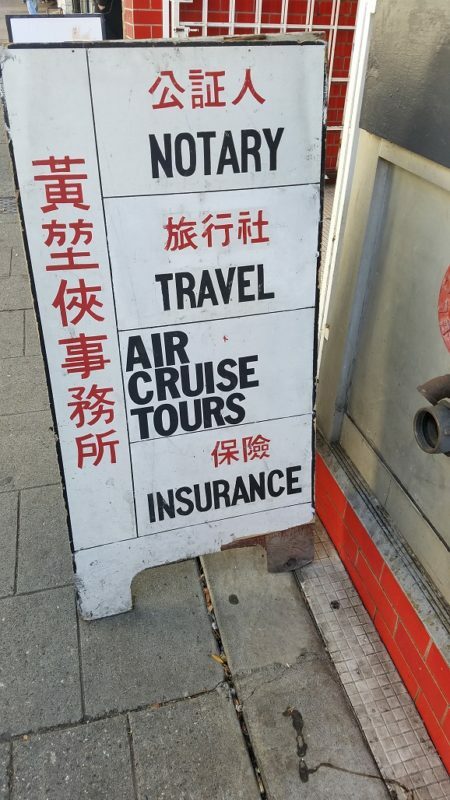 There are insurance agents, doctors, real estate agents, shoe stores, you name it. In other words, Chinatown is an integrated community that serves many of the needs and services of its residents. The best way to explore any neighborhood is on foot. You can control the pace, wander aimlessly and duck in and out of shops and alleys with ease. There is a public park (free) and a garden (admission required) to enjoy. An aesthetically appealing garden is a big draw. 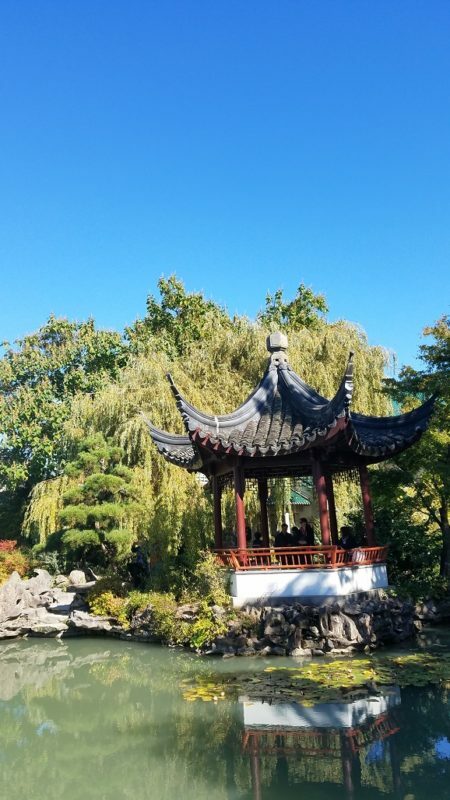 Chinese Gardens are extremely meticulous and steeped in symbolism, when it comes to why the trees and rocks are placed just so. Perhaps an even bigger draw is finding a tranquil respite from the bustle of Chinatown. You enter the park, and in some ways, feel like you have stepped into another time and place. 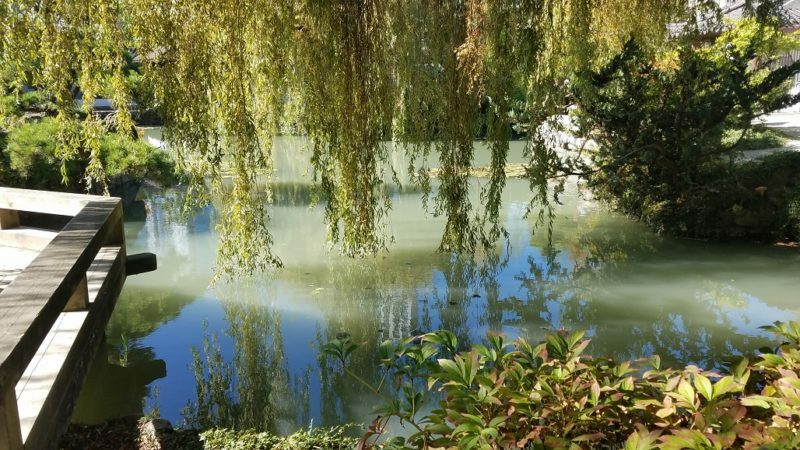 Sitting under the pagoda overlooking the pond and watching the fish swim by is a delightful experience. There is a lot that can be observed and learned about Taoism and Feng Shui by a visit here. Or you could simply stroll and enjoy the beauty that is. Bao Bei – Chinese Northwest Fusion Food Anyone? Everyone’s favorite Chinese Northwest fusion dining hotspot. The food is not what you would expect from Chinatown and that’s because it has its own unique spin on Asian fare. Innovative, bold, and may I even say daring? Squid salad with grilled radicchio and a cilantro dressing constitutes daring to me! Being a foodie, I thoroughly researched restaurants in the weeks before my trip. 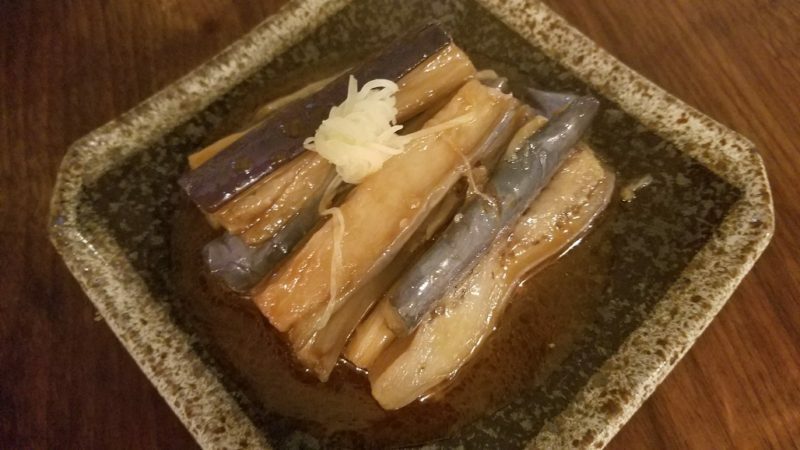 Food blogs, TripAdvisor, and a couple of guidebooks, as well as personal recommendations from friends who have been to Vancouver. There were certain restaurants that came up time and time again and I did my best to hit at least a couple of them. My trip was five days, so I could not hit them all. But I sure am happy I made it my business to get to Bao Bei. Many of the ingredients are local and organic. And that cannot be said for many Chinese restaurants. They don’t take reservations. If you don’t get there at least 20 minutes before, they open, you won’t get a seat. This fact alone says I am not the only one enthralled with this hipster, Chinese fusion restaurant. Each mouthful packed a flavorful punch. House made assorted pickles such as rainbow colored beets and carrots was the perfect appetizer. The sour may be needed to cut some of the richness of the irresistible crispy pork belly. I respect any chef who can properly caramelize the fat on pork belly, so I can just feel it melt in my mouth. We ordered six dishes to share, tapas style. Each and every dish received two thumbs up, with no one clear winner that emerged. We were impressed with the bold use of spices. Lots of coriander on stir fried cabbage can transform the humble vegetable. Since the dumplings are made every night in house, I put them on the must try list. You haven’t tasted dumplings until you have Helen’s homemade ones! The service was quick and attentive, yet unrushed. The décor was stylish and modern as you might expect for a self-described Chinese brasserie. The food was inventive and creative, while still being casual. It was the perfect dinner experience in Chinatown! You know when you walk into an Asian restaurant and it’s bustling with Asian people that you have happened upon a good thing. In this case, it’s a Cambodian and Vietnamese restaurant. Phnom Penh is the capital of Cambodia, after all. And in Vancouver, it’s a popular restaurant. The menu is expansive and can fit different moods and tastes. Sweet, spicy, and sour flavors are all abundant. They are known renown their fried chicken wings, although I was in the mood for lighter fare on my visit. A steaming pot of soup with a seaweed broth and fish balls was a welcome addition to our table. They actually brought a bone marrow soup complimentary. So we were rolling in soup. A tangy papaya salad helped round things out flavor wise. The decor is ordinary, but clearly, it’s the reasonably priced tasty food with generous portions that are the draw. The upbeat vibe and feeling like you have dropped in on one of Chinatown’s favorite spots makes for an overall, satisfying experience. Did you know that the shallowest commercial building in the world stands in the heart of Vancouver’s Chinatown? You can see it when you walk down Pender Street. It is unassuming from the front. Yet when you peek at it through the side window, you’ll notice it is only about five feet deep. Chang Toy, the owner of the Sam Kee Company, purchased a normal sized lot in 1907, intending to build an office building. However in 1912 the city expropriated all but a narrow strip of the property to widen Pender Street. Most people thought that was the end of any office building. However, Mr. Chang was a determined fellow. He built anyway within the confines that he could. Henceforth, creating the shallow building that has become a tourist attraction that is recognized by the Guinness Book of Records. That Mr. Chang was determined should not surprise us. He is the same wealthy Chinese merchant who used his wealth to arm fellow Chinese so that they could defend themselves during the Anti-Oriental riots of 1907, one of the more ignoble events in Vancouver history. 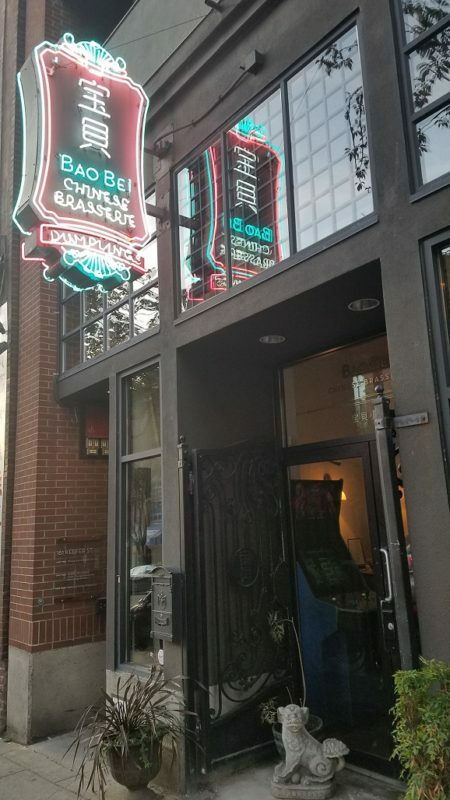 I learned about the backstory of Chang Toy and the Sam Kee building, as well as other fascinating and dark history surrounding Chinatown on a walking tour one evening, called Prohibition City. Which brings me to my next recommendation. . . This is a super fun way to spend an evening. I am not usually one for joining group tours, but the idea of an evening walking tour with a theme around the underbelly of the city caught my fancy. I wanted something that delivered more than a walk through downtown, reciting info I could get out of a brochure. Our host, Roxanne was dynamic speaker and a history buff at heart. She loved digging through old records and uncovering stories that need to be told. While we met downtown, we quickly walked toward Chinatown where things got real interesting. Vancouver enacted Prohibition in 1917. It only lasted four years, but in that time, there were blind pigs or speakeasies set up all over Vancouver including in the alleys in Chinatown. Since the blind pigs served alcohol of very questionable quality, people were literally taking their lives into their own hands! Roxanne informed us that Chinatown formed as a result of the Chinese not being welcome downtown. As opposed to the Chinese desiring to live separately. So while they labored on building the railway initially, they began more and more to put down roots in Vancouver, which did not sit well with many Vancouverites. Ironically, this discrimination and isolation was what helped ensure the vibrancy of today’s Chinatown. Unfortunately the early 1900’s saw growing enmity to Chinese and other Asians. This enmity led to the Anti-Oriental Riots in which Chang Toy played his role. The walk will make you appreciate the history, hardship, and bloodshed that the Chinese have endured through the decades. The tour ends in nearby Gastown, which is a perfect place to get a nightcap, perhaps rubbing shoulders at the local tavern, Alibi Room. An absolute must do in Chinatown. It doesn’t get more authentic than this! Keefer Street is the heart of Chinatown and a walk down it will be a feast for the eyes. Herb shops are filled with jars and bins of strange foods and medicines. 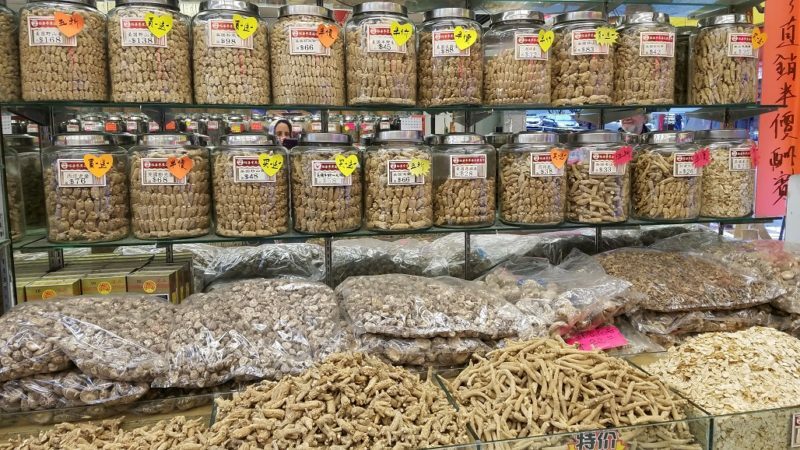 Jars of sea cucumbers. What about dried scallops, that are stacked on top of each other forming a perfect puzzle. Mountains of ginseng, lots of varieties. They tend to look the same, but prices can vary greatly. Which means the origin or age of the plant are different. And lots of dried and cured foods. Whole rutabagas, who knew? Bok choi, who would have thunk? 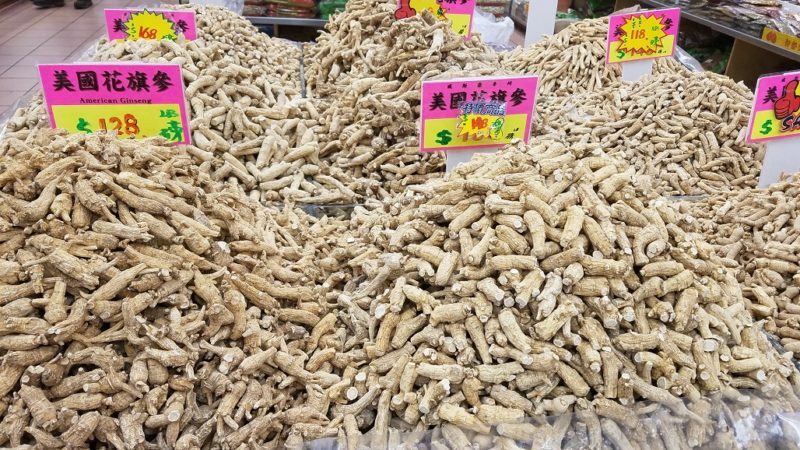 The Chinese have a way of processing herbs and food that extracts the medicinal properties, making it more potent, than had you just consumed the food cooked. It truly is fascinating. So many slices and cross sections of fish and mushrooms. Some of the shops specialize in tea. One such one was The Chinese Tea Shop, on Pender St. Walk in, and they may give you a cup to sample. No obligation to buy, but with Puerh so intoxicating, who could resist. Women are behind the counter, working quickly, bagging and boxing up tea and herbs. 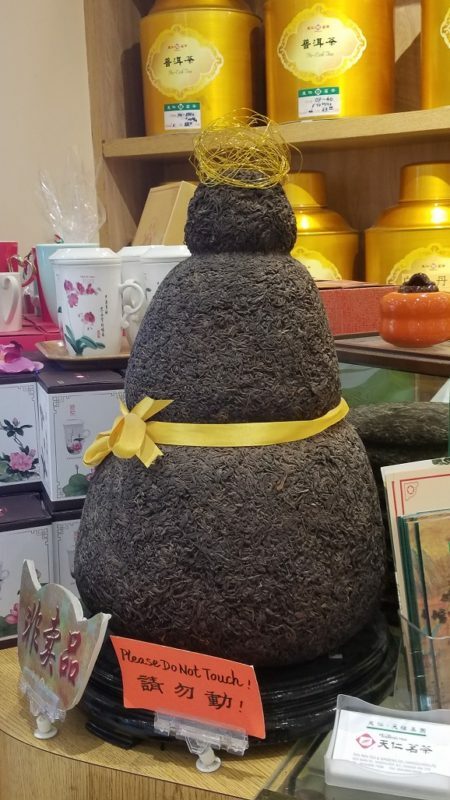 There is a cake of Puerh tea on display, shaped like a 30 pound pumpkin. And so large, it is encased in glass – only to be admired. The prices of both the tea and the ginseng are very reasonable compared to what I am used to paying in the States. And beyond that, I love to get things closer to the source, if given a choice. Part of what makes Vancouver unique, is its international vibe and Asian influence. 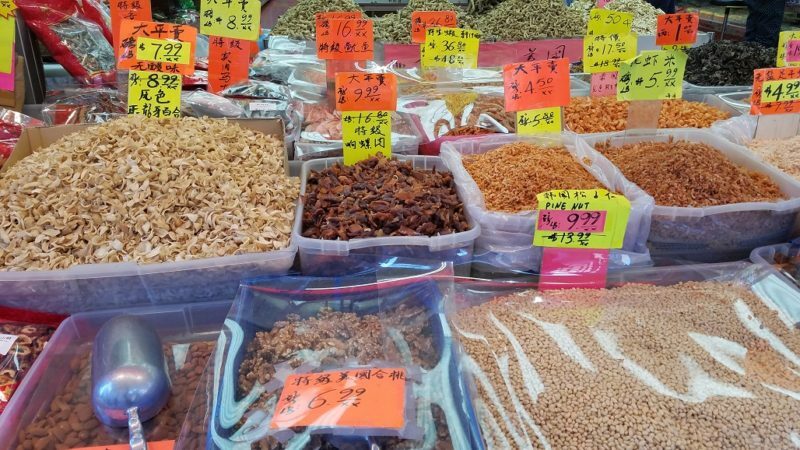 So consider taking half a day (at least) to explore the real Vancouver Chinatown. You will not be disappointed.